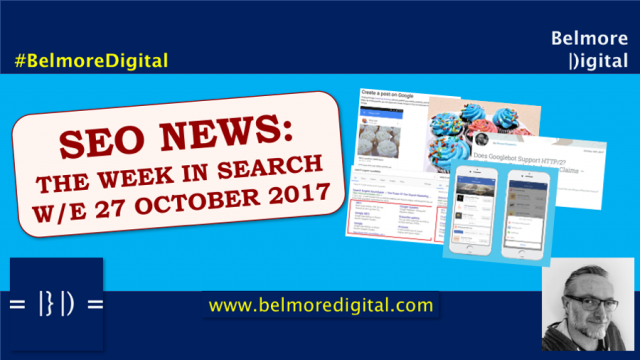 What are the latest SEO News & Updates for w/e 27th October 2017? 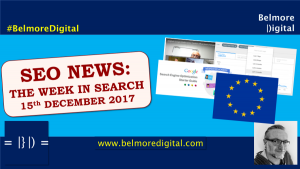 I love this week’s SEO News & Updates. At last, Google has come right out and said that the (wrong) SEO tactic of pruning content for Panda doesn’t work. This is as I have long advised clients (and discussed heatedly with fellow SEOs). 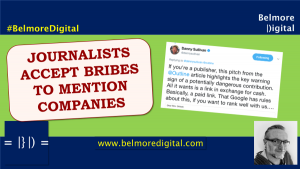 Instead, Gary Illyes essentially reiterated what he said in 2015 that improving the quality of the content and adding higher quality content is the answer. Stop pruning content. That includes low-quality content, low-traffic content and low-converting content. Instead, improve the quality of existing content by making it more relevant to the user’s query and more aligned with its competitive keyword set. Make it more relevant with more text (or often less), better quality headings, better quality media signposting, better and better quality linking, internal and external. Make it more aligned to the competitive set by analysing the type and quality of content which Google already views as hyper-relevant by looking at search results for the keywords. Become a topic expert by dealing with subjects in the right depth and then structuring your content and your website so that you are viewed as an authority. Click here to contact me to discuss ways to seriously improve your content and avoid or get out of the Panda filter. 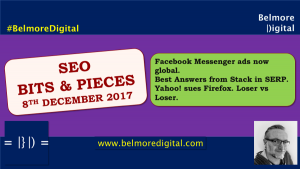 The Great Google Panda emerged from its lair in 2011 to decimate websites which were stuffed full of low-quality content. Initially it effectively worked as a site-wide filter before developing into acting more on a page level (but still with site-wide effects). 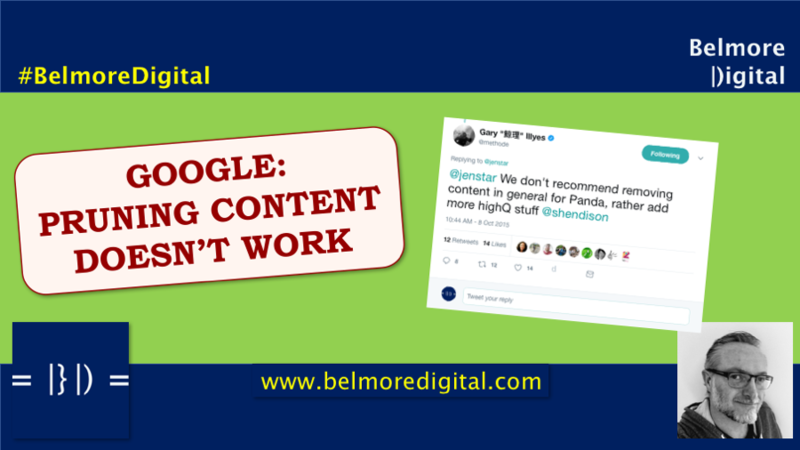 Since then some SEOs have advocated pruning low quality content with very big shears, or machetes and 301 redirecting, 404ing or even 410ing that rubbish content as a means to escape the Panda’s jaws. That was wrong then, and it is wrong now. Google uses trust and quality metrics in its evaluation of pages. These metrics can be hard to shift once set and removing pages does not change things much. Google’s Panda algorithm in in the trust and quality area of its set of tools. 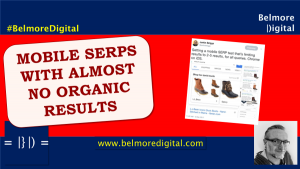 It should also be noted that Google algorithms, despite what some SEOs claim, operate on a forgiving scale. You have to be really quite aggressively following a particular strategy to get entrapped by one. But, like many traps, once you are in there, it can be tricky to get out of. Think about it: Google wants to show content to users. If you have gone far enough in your gaming of the algorithm that you have triggered the Panda algorithm filter, why would Google instantly re-adjust its metrics if you simply remove or redirect low-quality content. All that shows is you are continuing to game the algorithm. So, build good quality content. Make it relevant, be an expert and gain authority. That way you have a lot less to worry about than a big hairy Panda chasing you. Google has made an annoying “for your convenience” change to the way it delivers its search results. Now, your location, not the Google ccTLD (country domain extension) determines the search results you see. This means doing international, out-of-country searches just got harder. Searching from Australia for UK search results now means you have to make a change in your search settings. If looking for UK results from Australia, just going to google.co.uk is no longer enough (it was starting to get very hazy anyway). You need to make an adjustment in your search settings to change the Region your results are served from. You should then be able to view UK results. Remember that different location searches may still be influenced by your current country and home country location. It’s unlikely to pull pure “different country” results unless you are actually located in that country. Make sure you check with your rankings tools of choice that they are pulling results from a pure “chosen location” set. Make sure your clients who work across international borders are aware of the difference if they check rankings manually. If doing searches across borders, you will need to be more locally exact to generate local results. 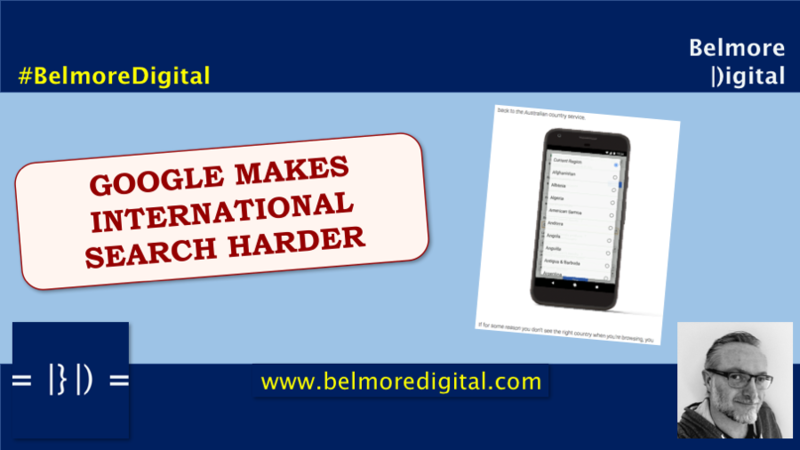 Click here to contact me to discuss how best to do international SEO. It’s finicky and technical, but good fun. Grrrrr. As an SEO this is annoying. There are plenty of times when I’d like to see rankings in a different country. Now it has just got harder. There is some user benefit to this, but not a great deal. As a user, this is also annoying because there are plenty of times when I want to search for information from a different country. This will mean plenty of additional searches to find the magic combination which will deliver local results. This isn’t convenient, this is a pain. The vast majority of users will have no idea about changing their search settings and for most the way things worked currently worked well enough. (Google detected location and served a mixed bag of country-local, home location and international results). They will end up doing repeated, more qualified searches, and possibly end up giving up in frustration. For what it’s worth, this must still be rolling out as on Safari in AU, I haven’t yet been able to replicate the setting change, but have already seen the impact of this non-localised search when quick checking issues for clients. As I say, grrrr. Google My Business has now added functionality for US businesses and users to manage bookings directly through a GMB result. This enables users to click to book directly from your Google My Business page, or Business panel in search results. It’s mainly for restaurants, salons, personal trainers etc, but any business which takes bookings through one of the selected Google partners should be able to eventually use this. Note this is currently US only, which is annoying, but a sign of things to come. Assuming you are in the US and in the right business sector, log in to Google My Business. If you already use one of Google’s booking partners, your button should have already been added to the listings. If you don’t have an account, you will currently need to sign up with one of the providers. If your provider is not listed, ask them what they are doing to become a Google Reserve Partner. (There’s a link on the Google Reserve Partners page). You will also be able to track booking and revenue stats for this feature through Google My Business. If you are non-US, assume that this will roll out to significant markets over the next 3-18 months. Click here to contact me to discuss how to optimise your Google MY Business listing to drive more traffic, bookings and revenue. Once I got past the “oh it’s only for the US currently” annoyance, I decided I quite like this. It’s almost always beneficial for a click funnel to be shortened to drive increased interaction and conversion. Simply put, the simpler it is for a potential client to do something, the more likely they are to take that action. I call it reducing friction. There is benefit to Google in this on all sides: they can enable a user to complete their search more quickly; they make Google and Google My Business more useful in the process; and (although it;s not clear), Google probably makes a small amount in either sign-up fees to the partners, or they make a small amount of backend commission for sending the booking, Ultimately, this would be paid by the business, but in the first instance any commission would be paid by the Reserve Partner. For businesses that can action this, it makes a lot of sense as it is likely to increase bookings, and providing you have proper access to and ownership of the customer data, you can create new customers to keep in contact with and convert to long-term evangelists. 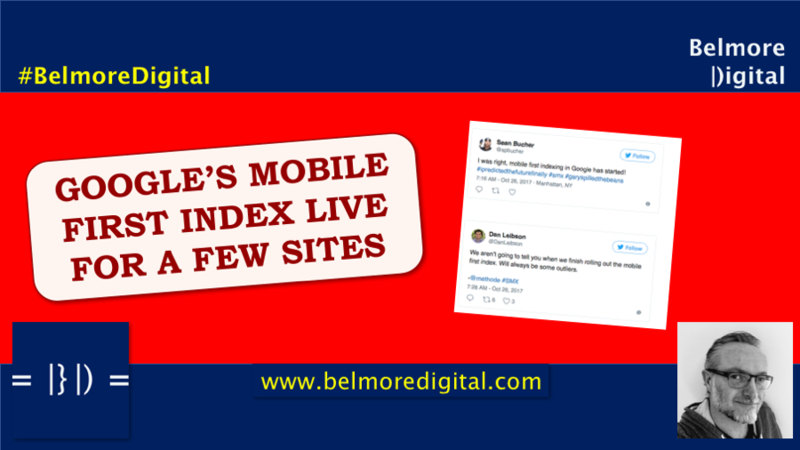 Following on from first reports of Google’s Mobile First Index rolling out, Google is now describing it as “live for a few sites”, according to SE Roundtable. This may be semantics (“live” vs “testing”), but it is significant that they feel confident enough to describe it as live. It is currently rolling out at a host-level, which means that www.domain.com may be live, but blog.domain.com may not be. Google is also saying that it is unlikely to ever be fully rolled out as there will always be some sites which are outliers and only work on desktop, or never update to being mobile first. Have I mentioned Google’s Mobile First Index before? I can’t remember. Ideally, your site will be designed from a mobile-first perspective. If it’s not, your next level is to make sure it is responsively-designed. If none of the above applies, and you have no plans to make your site mobile-friendly, let alone mobile-first, then you will struggle to attract much search traffic in the not too distant future. 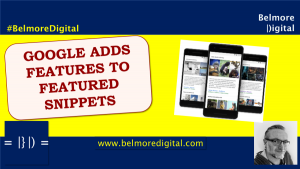 Google will still index and surface your site, but unless it is the absolute authority on a topic, there will likely be other options to surface and send traffic to. 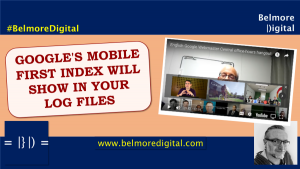 Click here to contact me to discuss how to check if your site is ready for the mobile first index and how to make it so. I think Google is testing the waters here. After the much-derided Mobilegeddon debacle a few years ago, it has had its fingers burned with big indexing changes. There are no signposts in search which say a site has been mobile first indexed, nor are there any in Google Search Console. Google is trying to implement this change with either no, or very limited changes to the search results, or it is taking a “boiling frogs” approach, where changes are minimal, incremental and take place over such a long period of time that change is almost invisible to the naked eye. As I say above, whether Google is “live” or “testing” is likely to be a matter of semantics, with 700 or so Google algorithm updates a year, you could argue that the live index is always in a testing state. Over the longer term, I can see that the desktop index of legacy sites will become like the supplemental index of old, in that results may surface from that set but they have to be the absolute authority or very best result for that particular query, and that query would have to be very specific. As a rule, I wouldn’t expect desktop-only sites to surface for popular generic queries, and especially not for commercial queries. Given the super slow rate of adoption of new technology on the web, or in businesses in general (how many of you are still on Windows 7? ), I can see this rollout or transition taking a number of years to get anywhere near 80%-90% fulfilment. Generally, website designs have a shelf-life of about 3 years before they should have a makeover, and some never do. Often in the big enterprise world, this expands to 7 years before all the stars are aligned and the go-live button can be pushed. Responsive websites started in earnest 5 or so years ago, so we probably have another 2-3 years before responsive sites can properly be described as the norm. 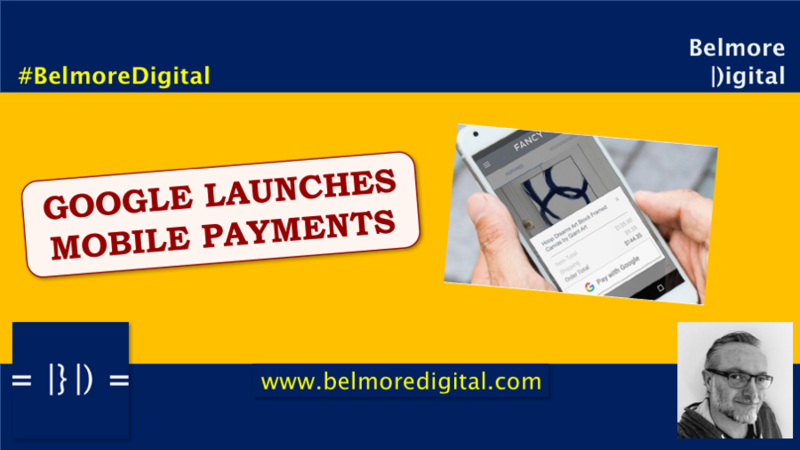 Finally, Google has launched a mobile payment service to sit on Android and make mobile shopping and payments less of a chore. It will also work in Google Chrome. I tried to find the snappy name for it, but unlike Apple Pay, or Samsung Pay, it doesn’t seem to have one. Similar to Apply Pay, this will add shipping details, names, phone numbers, all that really drudgy information to the shopping cart to make checkout a breeze. There are a significant number of payment processors on board with this. If you are a user, this should be really easy to use. Google is light on the details however. 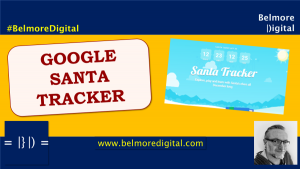 Make sure your details are correct in your Google account – Google will pick them up from Play, YouTube, or any other area where you pay for Google services. If you are a developer, or site / app owner, Google has a suite of developer docs to aid implementation. Be sure to read and become informed about what happens with the transaction data. You would hate to think that Google could use this to build more information around purchase habits. Click here to contact me to discuss ways to make mobile transactions and general ecommerce checkouts a lot easier for users. Not being an Android users, I must admit I had thought Google already covered this off. I;ve been using Apply Pay for quite a while. As a frustrated user, I really hope this takes off and delivers to make mobile transactions a breeze. It is unbelievably annoying to add details to forms when checking out (luckily the various machinations of iCloud and Safari do m ake this easier). I’m also getting to the stage where I wish more web transactions had these Pay systems aligned properly. My experience is that very few have adopted, or integrated Apple Pay and it’s getting annoying. Google notes that the Google Search Console link data is not real-time. Did people honestly think it was really? Note that the link data will include nofollows and the links may not count towards your rankings. You could almost say the report was for entertainment value. 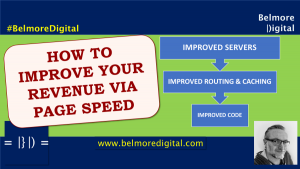 There was a lot of chatter in the webmaster world when Google revealed that 200 milliseconds was the benchmark time before the Page Speed tool triggers an issue when reporting on server response. Note this is after other network negotiations have been done (DNS, network latency etc). Expect this to be wrongly translated as Google expects websites to be loaded in 200ms. This made me laugh heartily. Facebook’s Explore feed may improve organic reach. No. No, it won’t. Think about it. Honestly, I sometimes wonder which planet some people inhabit. Pinterest is getting into the PPC game, after a long time. It has finally worked out a way to monetise its visual search technology. This is going to be interesting. I must admit, I wonder if Pinterest got big enough, whether Google would transform its image search offering. One to think about. If you have been hacked, serving up a Soft 404 will not remove the warning. You need to properly change the affected content or 404 / 410 the URL if absolutely necessary. This is one space where Google’s algorithms don’t do a great job. 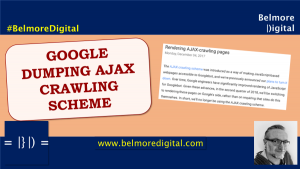 JohnMu at Google Webmaster Help this time. Alphabet made $27.8 billion last quarter. Google contributed nigh on 99% of that. That’s a lot of money, but just shows how reliant Alphabet is on its main cash cow, despite many forays into other ventures. On the other hand, many other companies would be happy for the 1% of revenues. Google says pruning content to recover from Panda doesn’t work. Make it better instead. Google just made internationalised search harder by always serving local country content instead of ccTLD content. 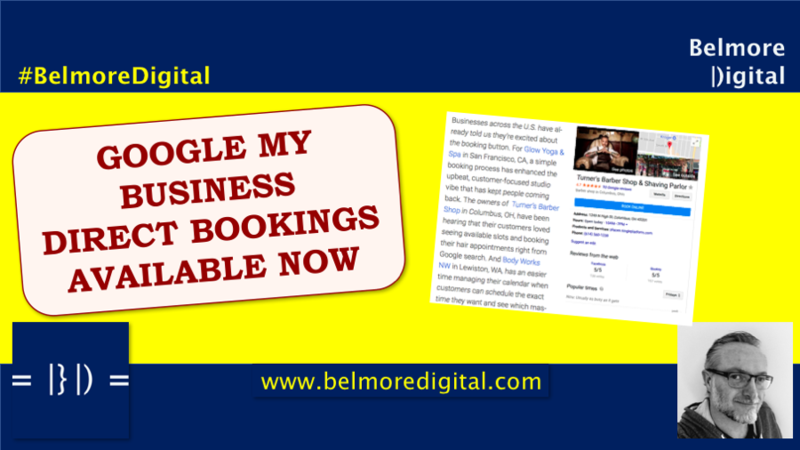 US businesses can now take bookings directly through their GMB listings. Nifty. Mobile first indexing is live for a few sites right now. Google has now started up a mobile payment system, similar to Apple Pay and Samsung Pay. 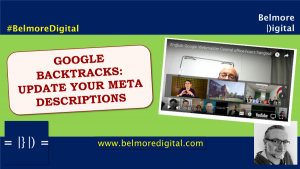 And some fun and frolicsome SEO Bits & Pieces.